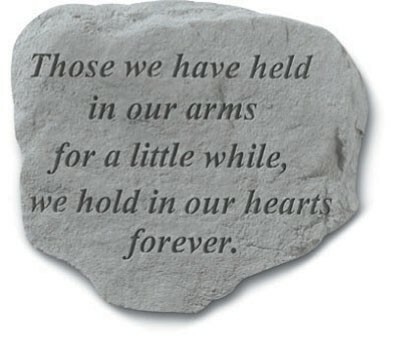 This Memorial Garden Stone weighs 9 lbs. and measures 11" x 10". Made of cast stone, these are weatherproof and guaranteed to last a lifetime. All of the decorative stones have a hanger on the back which will allow you to hang anywhere.